Which species are considered ‘spiders’? Every person on the planet is fairly familiar with spiders. They know that spiders are not insects but instead, belong to a group of animals known as “arachnids”. Along with what you think of when someone mentions spiders, scorpions, mites, and ticks are also included in the arachnid family. Arachnids differ from insects in that they have two body segments, eight legs, no wings, no antennae and are not able to chew. In California, we see our fair share of house spiders. Since we live in such a large state, this means that the various species of spiders in homes and businesses alike vary widely. On the other hand, there are very few house spiders that are dangerous in California. Still, it is always helpful to have more information than not enough so that you are able to identify any spiders you might come into contact within your home. One of the most common types of spiders in California is the wolf spider. These spiders can be recognized easily by their thick long legs and their black/brown coloring. While this type of spider is not generally aggressive, they will bite if they are threatened, which will result in a stinging bite and localized swelling. Another spider you may encounter in your Sacramento home is the American House Spider. These spiders are relatively small and stubby and normally have a drab brown coloring, with some specks or spots. This type of spider will try to avoid direct contact with humans and may even try to play dead if you do see them. Unfortunately, California is one of the states that acts as a residence to the infamous Black Widow spider. These poisonous spiders can be identified as they can be relatively big in comparison to the house spider, and have an intimidating red hourglass shape on their abdomen. These are not only poisonous but the most venomous spider in all of North America, meaning you should seek medical attention immediately if you are bitten by one. What type of environment do spiders like? There are a number of different things that can attract spiders onto your property. On the other hand, the main thing that will encourage spiders to venture towards your home is an active insect population. Plain and simple, spiders need food to survive and insects are their bread and butter. However, a healthy insect population is not all it takes. Let’s talk about all of the factors that could contribute to you finding spiders in your home. Insects: While spiders are great natural pest managers, the last thing you want is to have plenty of food for them to eat on your property. It doesn’t matter if you have a fly problem or a lot of crickets in your yard, insects are insects to spiders. However, like us, they do have favorite meals and therefore, if you have a lot of flies, wasps, grasshoppers, beetles, or ants on your property, you may want to keep an even closer eye out for spiders. Warmth: There is a reason you see far more spiders outdoors in the summer than you do in the winter. Not only does cold weather make it difficult for spiders to survive, but they generally just prefer warm weather. This is often why you may find spiders inside your home during the winter and may notice more outside throughout the warmer months. Water: Not all spiders need water to live, but there are many that do. These are often the spiders you will find in your bathtub or hanging around your sinks. Privacy: Spiders are not about showboating. They prefer their privacy which is why you may not see them very often inside of your home. If you really want to know if you have a spider issue, check corners, crevices, or low traffic areas first and foremost. What prevention steps can you take to keep spiders away? While we would suggest that you keep an eye out for spiders year round, it is also important that you know the most common time of year during which spiders will enter your home in autumn. Males will venture indoors in order to find a mate and you may begin to come into contact with them more and more. 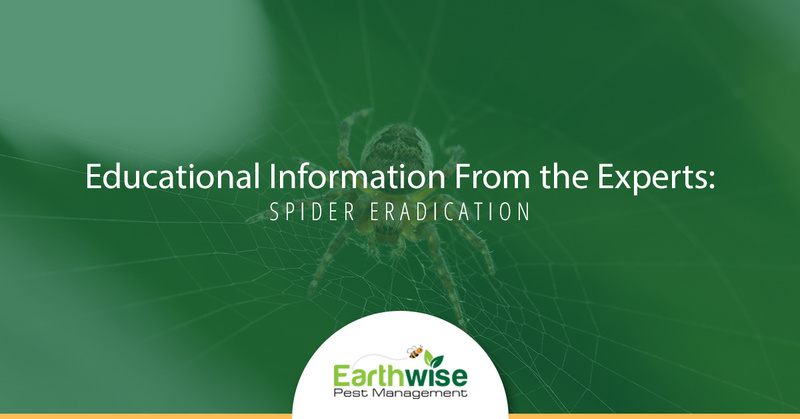 If you are not interested in having interactions with spiders regardless of the time of year, there are definitely steps you can take in order to dissuade them from entering your home. Below you can find some tips for keeping spiders both out of your home, as well as off of your property entirely. What can you adjust inside of your home to prevent spiders? Keep your home clean. As you already know, spiders like to have places to hide. The cleaner your home is, the fewer places they will have to hole up. Additionally, having a messy home with crumbs on the ground will attract other insects and therefore, attract spiders. Make sure that you are wiping down surfaces, sweeping, and vacuuming on a regular basis. This will also ensure that you are getting rid of any webs or egg sacs that spiders may have left behind. Seal your home. Make sure you take the time to patch up any cracks, holes, or gaps in doors and windows in order to prevent spiders from slipping inside of your home. Most commonly spiders are found in rooms that are moist (i.e. kitchens, bathrooms, and basements). Utilize essential oils. If you want to offer your home an extra method of dissuading spiders hanging around, spray your house down with peppermint, tea-tree, citrus, or eucalyptus oil. What can you adjust outside of your home to prevent spiders? Remove plants and debris from the side of your home. Spiders really like to hide in vegetation, as well as under rocks, wood piles, in compost, and more. However, when it gets cooler outside, these are no longer acceptable places for them to reside and they will, therefore, move inside of your home. It is important that you maintain the outside of your home. Keep your outdoor lights off. Spiders aren’t necessarily attracted to light, but the many insects they feast on are. Additionally, darker siding on your home will help to prevent insects from being attracted to it, making your home a less appealing destination for insects and spiders at the same time.